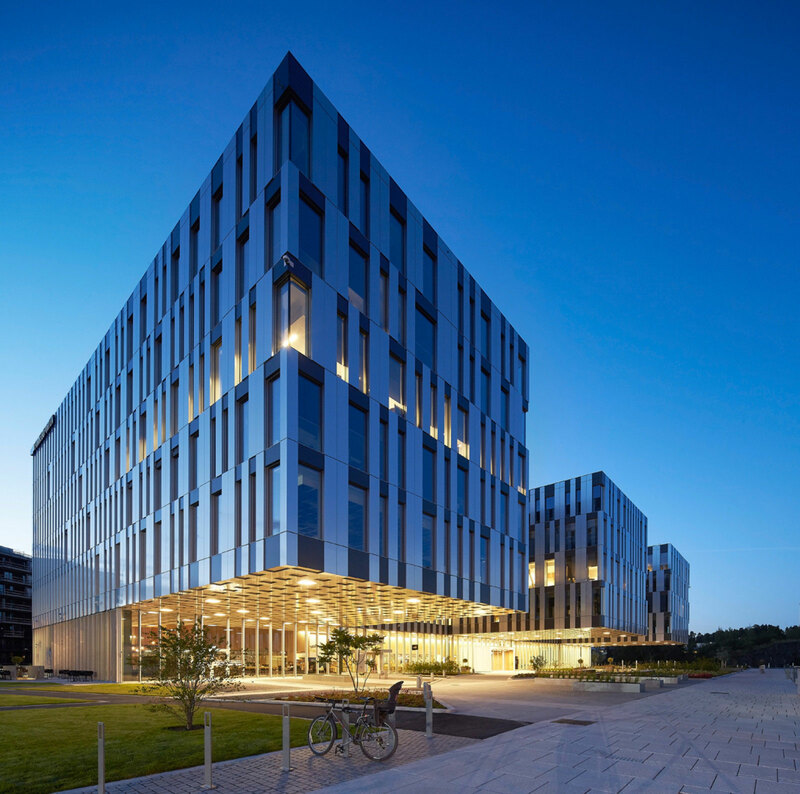 In a collaborative effort between Dark Arkitekter and Zinc Interior Architects, the former site of the Oslo airport was transformed into a cluster of office and residential spaces known as Fornebuporten. The design, which encompasses two large volumes, confines a public plaza. The plaza was a purposeful addition by the architects to create “public openness” as a fundamental design element. 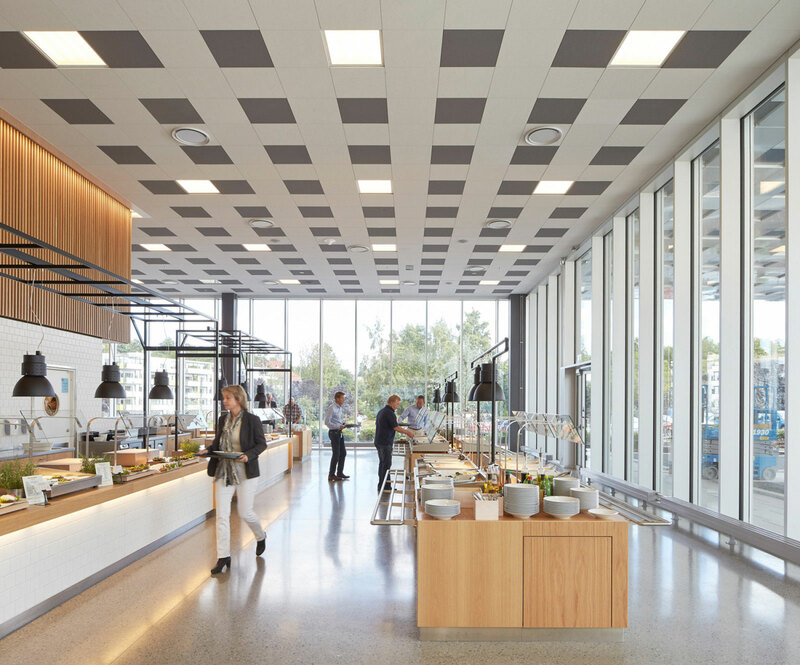 The Fornebuporten was intentionally designed on the site of the future metro station and is created with space, not only for the people working at Fornebuporten, but also retail and food service space for future commuters. Beyond retail space this open plaza offers gardens, urban furniture, cafes, bakeries, and restaurants, all located on the ground floor. The architects explain, “The underside of the hovering volumes is a playful checkered cladding – the result of the folding of the building’s facades under the cantilevers.” The hovering cantilevered volumes utilize a combination of Alucobond PLUS naturAL Brushed and Alucobond PLUS Dark Grey Metallic aluminum composite panels. The aluminum cladding offers a modern elegance, fitting for the area’s intent.